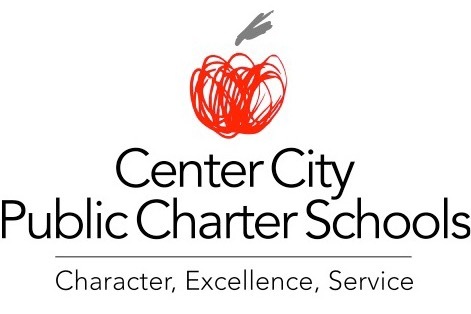 At Center City, “character, excellence, and service” is not just a motto. We are guided by these values each and every day. All of our campuses discuss these values with our students and recognize students for demonstrating them. As we approach the holidays, our students are engaged in activities to develop their character and give back to their communities in a variety of ways. They are also hard at work preparing wonderful concerts, plays, and other performances in honor of the winter holidays. The Brightwood Campus participated in the Kindness Challenge , with the national organization, Stand for Children . The aim of the Kindness Challenge was to encourage students to practice kind behaviors and to have teachers and administrators foster and celebrate kindness. Brightwood celebrated students’ acts of kindness by selecting Kindness Superheros! Every day a student in each class was nominated to be the Kindness Superhero and wear a cape for the day. Students were selected for doing something kind that day, such as cheering up a friend or helping another student with his or her work. 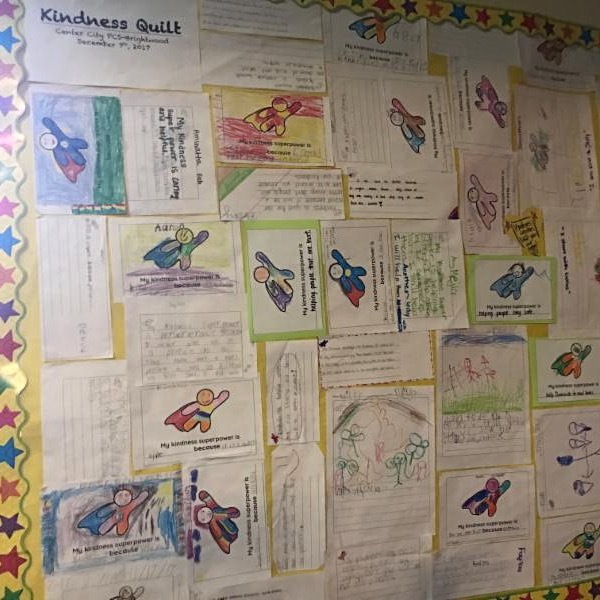 At the end of the 30 days, the entire school community created a Kindness Quilt that included a piece from every student depicting what kindness meant to them. The project and quilt were featured on Fox Five News on December 7th which you can view here . Our Shaw and Capitol Hill students participated in service projects with the Capital Area Food Bank and the DC Central Kitchen . Capitol Hill 5th Graders sifted compost, harvested carrots and peppers, weighed their harvest, and tried carrot rice. 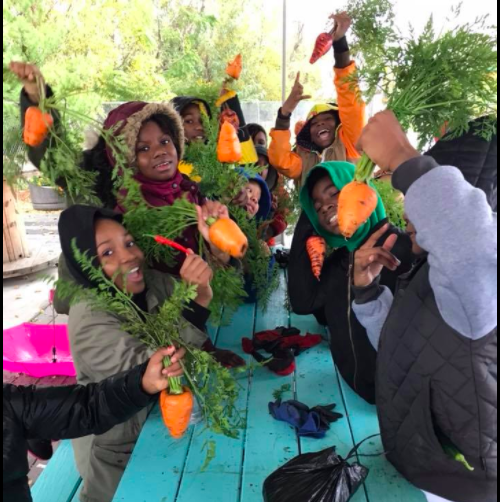 Through this project, they learned about harvesting vegetables, the prevalence of hunger, and the work of the Capital Area Food Bank of providing food to people in need in the Washington Metro Area. Shaw students helped prepare meals at the DC Central Kitchen. Students worked for several hours alongside other volunteers and staff members. They also learned about the DC Central Kitchen and its work to feed 5,000 homeless people each day. Students ended their day by sharing lunch with other volunteers. Three Center City Campuses are implementing the Shred Hate Program, an innovative program created to end bullying in schools and help youth choose kindness. No Bully , a nonprofit organization whose goal is to eradicate bullying, leads the Shred Hate program with support from Major League Baseball and ESPN. 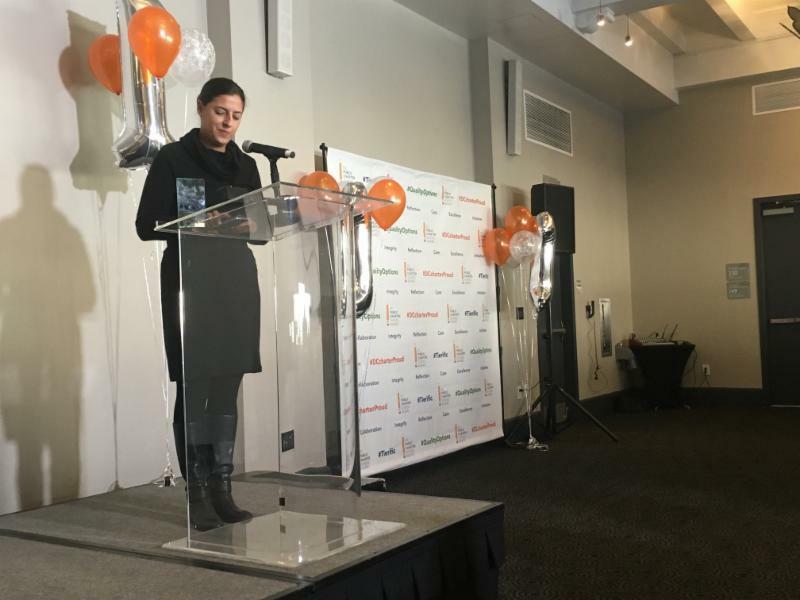 The program trains three staff members at each campus to become “solution coaches,” so they can combat situations of bullying and strengthen school-wide communities. The solution coaches educate other teachers about bullying and how to address it. They also hold awareness-raising activities for students. For example, the Trinidad Campus held an assembly to raise awareness and educate students about bullying. In the assembly, students participated in skits about bullying and shared facts with their peers. In December, Petworth 6th graders partnered with the Washington Animal Rescue League (WARL) to make puppy treats for dogs who will participate in their prison program. WARL works with the prisoners to train dogs that are having difficulty getting adopted. The prisoners use these homemade treats when they are training them, which makes the dogs more obedient and more likely to be adopted. 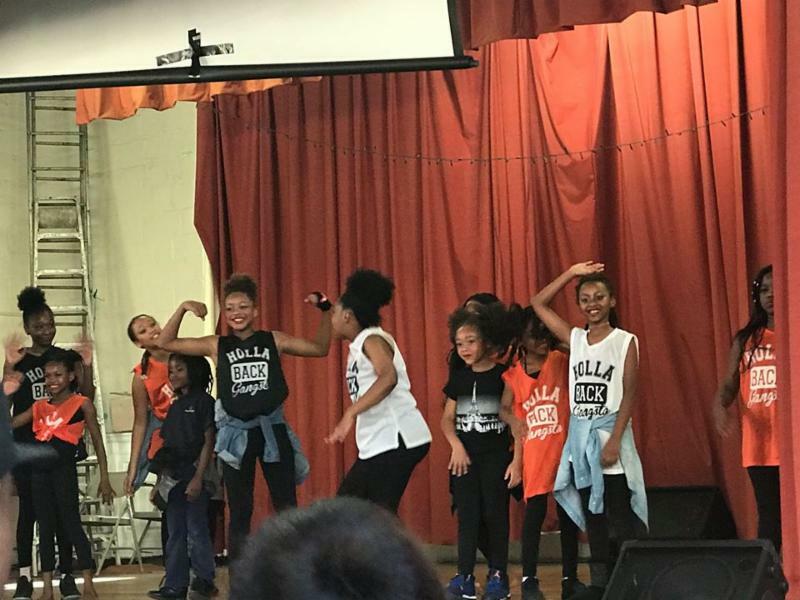 Spotlight on Excellence at Center City PCS! The Congress Heights Campus was selected for the November First Fridays Tour. 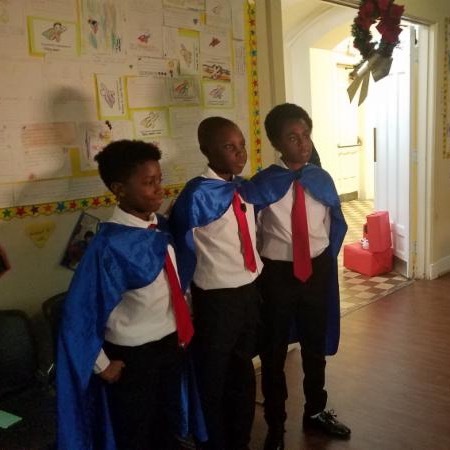 First Fridays is a monthly series of learning tours that spotlight charter schools around the city and is sponsored by Focus DC, CityBridge Education, Charter Board Partners, and Education Forward. 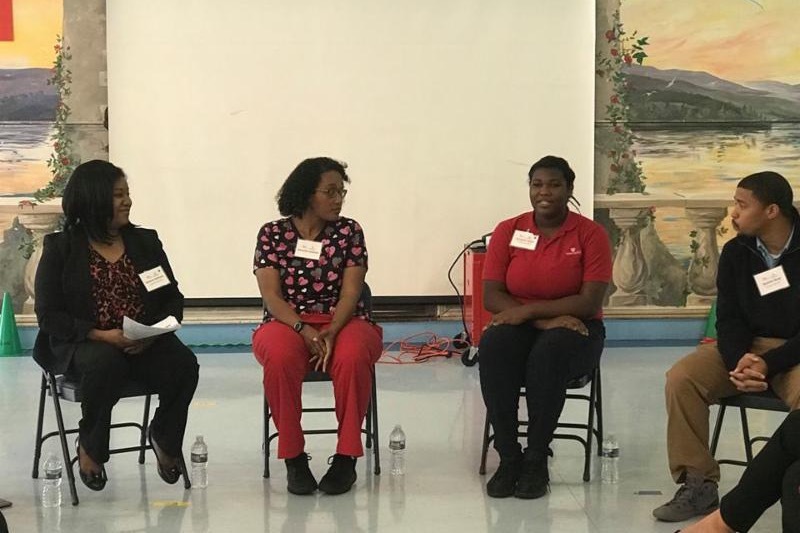 We had about 25 guests and a dynamic program including insights from Principal White, classroom visits, and a panel discussion featuring teachers, parents, and students. 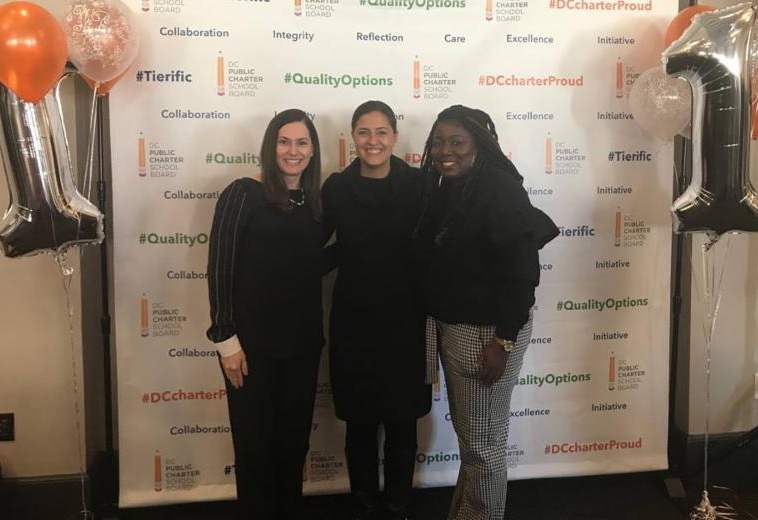 Our Brightwood, Petworth, and Shaw Campuses were honored for their Tier One ratings at the DC Public Charter School Board’s School Quality Event on December 11th. We are so proud of our hard-working students and staff for their accomplishments! It’s not too late to contribute to our holiday appeal! Your donation will help our students participate in enriching learning experiences such as our Global Ambassadors Program, school musicals, instrumental music, chorus, band, and dance programs. These experiences support students’ character development by exposing them to new perspectives and ideas. They also support students’ academic success by building their background knowledge, their vocabulary, and their understanding of the world.